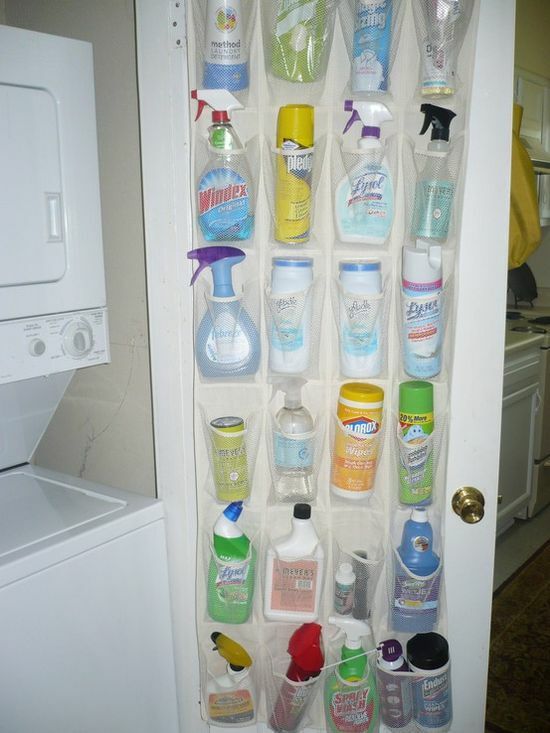 Behind the Door Cleaning Product Storage: Get your cleaning products out of valuable cabinet space and onto the back of the laundry door for easy access and organization. 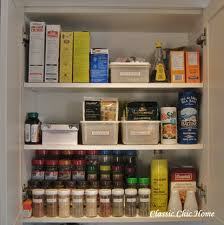 Side of Fridge Pantry Storage: Utilize the rarely used space next to the fridge to create a pull-out pantry. This is perfect for cans, spices, and other thin items. 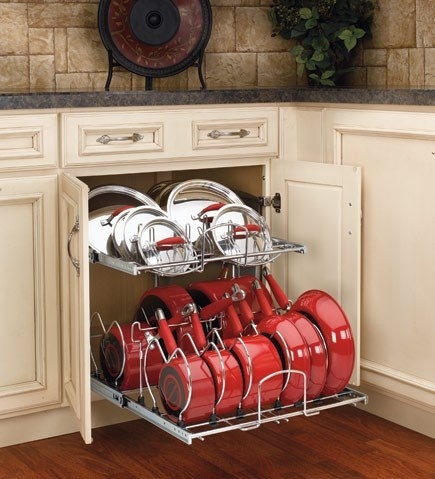 Organized Pots & Pans Storage: Who wouldn’t want this model of organization for their pots and pans. 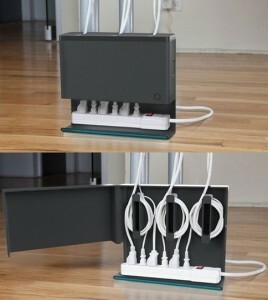 With a place for every item it’s easy to put things back where they belong. Ceiling Mounted Garage Storage: Maximize your storage space, by mounting storage bins on the ceiling of your garage. 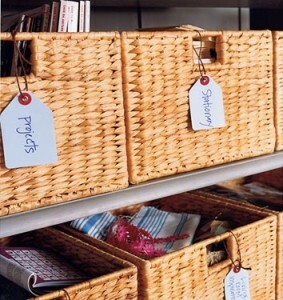 These bins are perfect for holiday decorations and other infrequently used items. 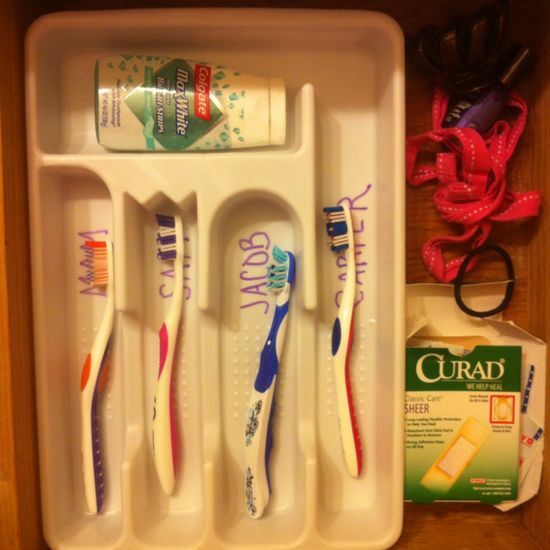 Silverware Trays for Bathroom Drawer Storage Organization: This is a fantastic idea for keeping toothbrushes, toothpaste and floss organized in a family bathroom. Personal Health Record: What Are They & How Do I Make One? For anyone that has a chronically ill family member or someone that has experienced an accident that has brought upon many medical issues, you know that the amount of paperwork can quickly become overwhelming. Even the average individual will want to keep track of their records and personal information for insurance purposes reimbursements, health tracking, and for taxes. With much of the Personal Health Record industry moving digital it can be difficult to know what you need, how you should store the information, and for how long. Here are some basic guidelines and tips to follow. Online services such as WebMD’s Personal Health Record system can assist you in storing your information digitally, so that you have greater ease in providing healthcare professionals with access to past history, can access the info throughout your lifetime, and to maximize your health benefits. For more information about storing your personal health information online, visit the Medicare.gov page. If you feel more comfortable keeping the information in hard copy, create a folder designated for your Personal Health Records and another for Medical Insurance. Keep all of the items, except for the last, from the list above in the first folder. The Medical Insurance folder should keep the bills and statements from your insurance company. You can also add in correspondence from claim negotiations or other related documents. 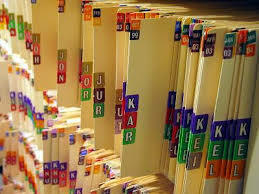 When seeing a new doctor, bring the first file with you, so that they can copy the information. PFS Clinical provides customizable solutions to the treatment of a disease and management of the whole process. Experts advise that medical records should be kept for 5 years after the end of the treatment. For insurance bills and statements you can toss records after a year, or immediately if you have access to the digital statement online. Remember to always shred your personal health records for security reasons. We wish you good health and organization! When organizing people’s homes we often answer the same questions again and again. While our answers occasionally change based on the situation, we’ve also come up with general strategies and concepts that seem to ring true for most. 1) Should I keep all of the sizes I fluctuate between? This is a common problem. We find that many individuals with overflowing closets are often holding on to wardrobes in several sizes because of frequent weight changes. What we always tell people is that it’s easier to fluctuate between sizes when you have the next size up available to you. If your jeans were getting a bit tight and you had no larger size available, you might be more conscious of eating healthy and working out to make the current jeans fit again. 2) What do I do with the stuff I’m storing for family/friends? The first question to ask is how long have you been storing the items. Next ask yourself if there was a time limit placed on providing the storage and when the last time the owner mentioned the items. If you’ve had clothing from a relative for several years, chances are they don’t need it anymore and would be fine giving it away. If they truly want the items give them a deadline by which to move them and stand by it. Just remember, this is your home, not a storage unit. 3) How do I maintain the organization? 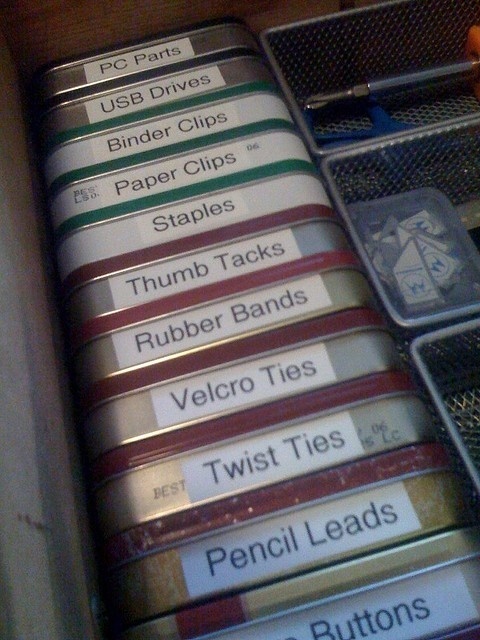 This is the most difficult part of organizing for most people. They love the idea of getting organized, but struggle to maintain it after we’ve left. 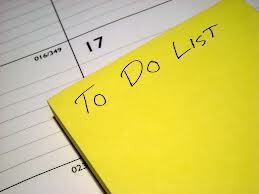 To assist in keeping your home tidy and organized, commit to a daily routine of putting things back where they belong. 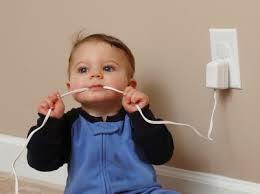 Each night, before you go to bed walk around the home and conduct a mini-reset. This will help keep things from getting out of control. Labels are also a great idea to ensure things go back to their rightful homes. 4) What papers do I keep and what can be tossed? In general, if you can find a copy of the document somewhere online, shred, recycle or trash the hard copy. For documents that are currently being used, maintain a inbox/outbox system that is reviewed each week for expired/unnecessary items. To determine what documents need to be stored long-term or for tax purposes, review Suze Orman’s Financial Clutter, What to Keep List. 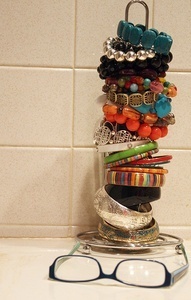 5) Am I a Hoarder? 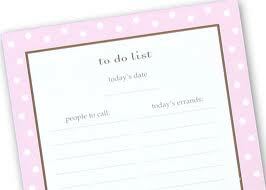 It is common for individuals using a professional organizer to feel like perhaps they are a Hoarder. The reality is that the amount of collecting or acquisition that it takes to become a Hoarder is significant and most people do not fit the clinical definition. That being said, there are many people with hoarding tendencies. If any of the following statements are true, you may benefit more from a mental health professional, than an organizer. What are some of the questions you’ve always wanted to ask a professional organizer? Learn why you should switch to eco-friendly cleaning products. As lives become busier, over-scheduled and more stressful, it’s easy to gravitate towards the latest products that promise to make annoying chores even easier. Need a bathroom cleaner? On your next trip to the store, you grab one of the many bright and colorful bottles promising to be a quick fix. But did you ever think about what’s in that container? Two experts Leslie Reichert, author of “Joy of Green Cleaning,” and Sara Snow, author of “Sara Snow’s Fresh Living,” share the reasons why people should make the switch to green cleaning products. As concerns for health become more prevalent and people become more aware of the harsh effects cleaning chemicals are having, they’re going back to basics and looking for greener ways to clean. To hear our experts tell it, the benefits speak for themselves. This post was generously written by Carol Ruth Weber, a Contributor for Care.com (www.Care.com), the largest online care destination in the world.